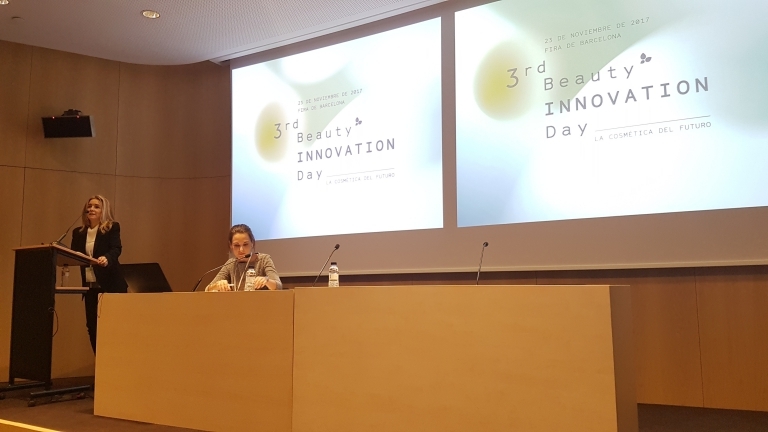 In the third edition, the Beauty Innovation Day consolidates its position as a referent event about the innovation in the beauty sector. Epigenetics, Digitalization, Photonics and Advanced Materials will be the four guidelines determining the future of the beauty products. The natural, sustainable, and personalized products will lead the sector trends. The novelty of that third edition of the event was the Packaging Corner where the associated companies exposed the novel designs and products. Andrew McDougall, international analyst in Mintel, presenting Beauty Trends 2018. 24 November, Barcelona. 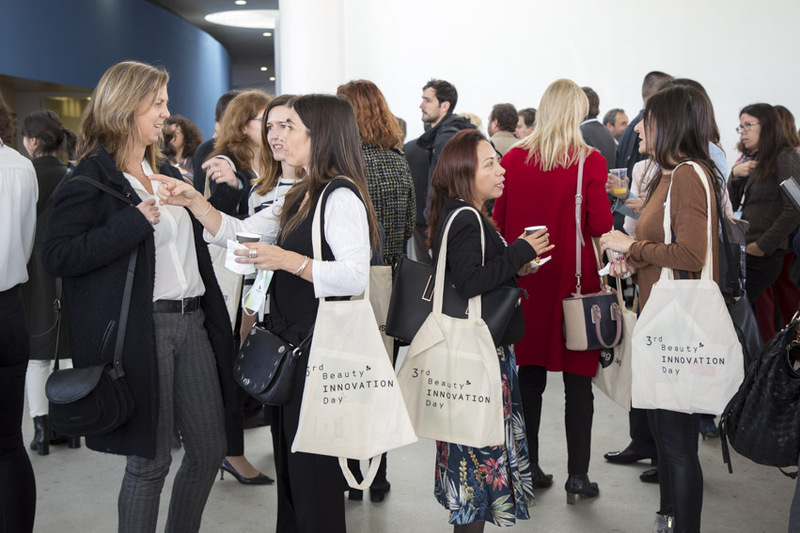 The main objective of the Beauty Innovation Day, organized by the Beauty Cluster Barcelona, is to elucidate the most novel innovations in the sector. 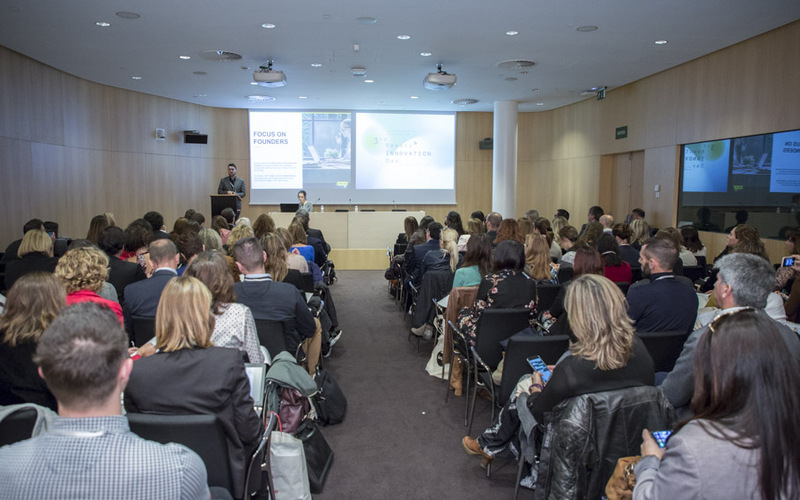 In the third edition, this event has consolidated its position as a referent event about the innovation in the beauty sector with more than 250 assistants and 20 presentations covering all the areas of the beauty value chain. Elena Grau, responsible of the Innovation Commission, CEO of EG Active Cosmetics and member of the cluster board, presented the main initiatives of the cluster for the lasts three years. Elena remarked actions such as the launch of the Beauty Innovation Watch, the promotion of intercluster projects or the international agreements stablished aiming to boost the innovation of the companies. Last, she presented some of the other future projects that will be executed during the 2018 such as the launch of an exclusive app for the cluster members and she encouraged all the assistants to continue collaborating along all the beauty chain. The event started with the surprising presentation of the Beauty Trends for 2018, by Andrew McDougall from Mintel. It was highlighted the importance for investing in natural products, more sustainable, eco-friendly and adapted to the consumer needs. The future of the beauty products was the central pillar of the day, thus, 4 main trends were exposed in different conferences given by an expert on each topic. Epigenetics and its potential application in cosmetics. It refers to the interactions that take place in an organism between genes and the environment. The influence of such external factors in our health is becoming more evident, and therefore, their affectation on our skin, hair or body it has to be considered. Retail digitalization. The digital ecosystem has changed our behavior as a client. The number of clients that use technology for improving their shopping experience is exponentially increasing. Applications of photonics for the cosmetics and perfumes. The use of lasers and the manipulation of the light is becoming more frequent in the beauty sector. There are huge range of applications such as the characterization of ingredients, medical and esthetic applications or codification of specific materials. Advanced materials. Those materials show superior characteristics compared to the conventional ones. The objective for using this kind of materials in the beauty sector is the development of products with minor costs and with high benefit. Andrés de la Dehesa, CEO of Sportmas and international speaker in retail digitalization. The companies associated to the cluster had the opportunity to present their innovation. The expositions were organized in three blocs: a) Innovation in raw materials, b) Innovation in natural ingredients, c) Innovation in product and design. In this regard, new and original topics such as the renewal of the energy in cellular mitochondria for the rejuvenation if the skin or strategies combining the use of the product, technology, and the management of the habits for offering customized wellness solutions were exposed. 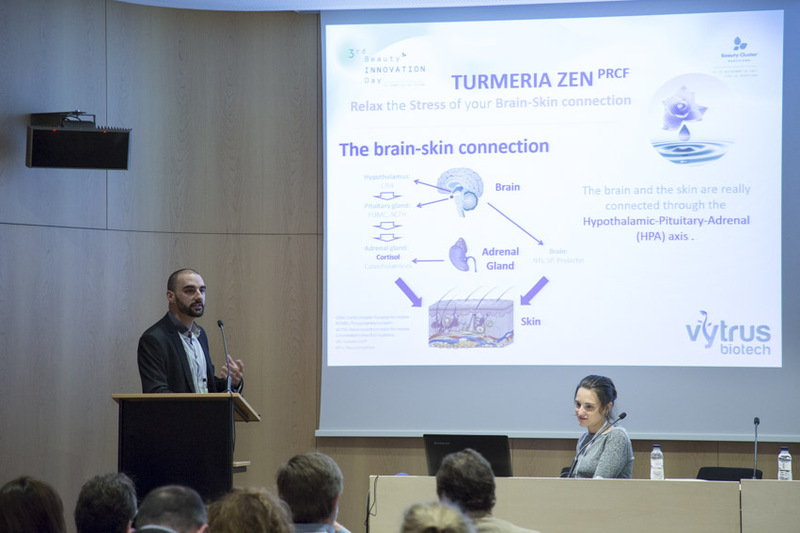 The presentations have been caught the attention of the public, dealing with topics of interest such as the connection brain-skin and considering the problems of the skin not exclusively as physiologically but also psychologically. The interest for improving the capillary products has been notably, as well as the increment on natural products, showing a clear trend to the future of beauty. Moreover, all the participants at the event received a catalogue with all the information regarding the innovations exposed and the companies involved. Óscar Expósito, scientific director of Vytrus Biotech, presente dan active based on plant stem cells. 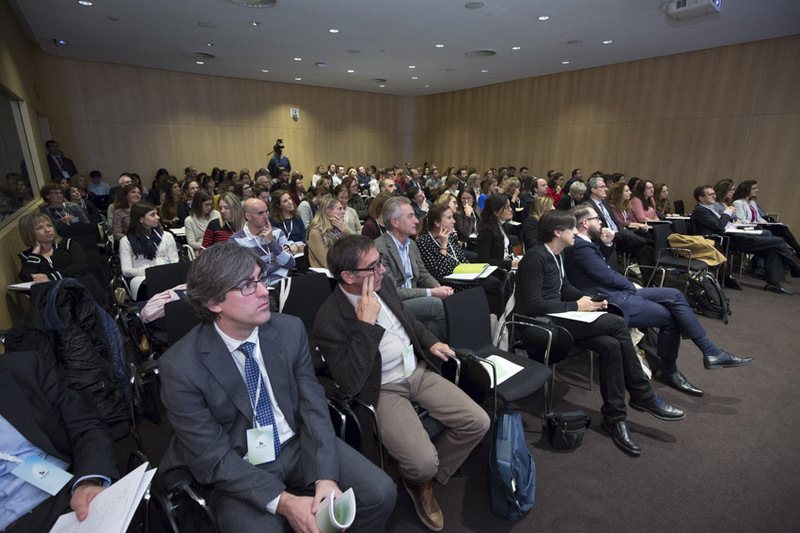 The presentation of innovation capabilities for the cosmetics sector by three prestigious technology centers was also held at the event: Ainia Centro Tecnológico, Centro de la Química de Catalunya (Eurecat) and Fundació Bosch i Gimpera (Universitat de Barcelona). The companies have valued the possibility to know the research and development capabilities of the research centers and universities applied to the beauty sector. Moreover, they have explained possible projects to perform in collaboration such as the development of new products, hire technological services or the transference of knowledge from public to private sector. The assistants had the possibility to schedule meetings with companies leaders in innovation, previously to the date. The cluster enabled a space with ten numbered tables where more than one hundred meetings take place. Approximately 45% of the meeting were previously scheduled and 55% were spontaneous meetings from the interest of the innovations presented. A novelty on the 3rd Beauty Innovation Day was the Corner of Packaging where an expositive space were provided to each company in order to show their innovations. 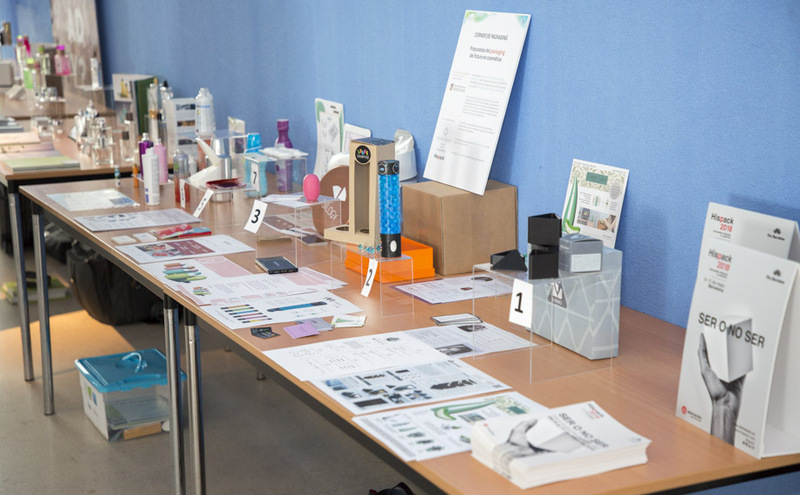 Moreover, students of the University Degree of Design at the University of Barcelona, exhibit their prototypes and final projects most innovative, previously selected by experienced companies. The participants has the possibility to know the innovation in the packaging sector and to exchange opinions and concerns with the designers. All the assistants valued as highly positive this initiative, highlighting very positively the value of the projects presented by the students. Exhibited designs and prototypes by the UB students in the Packaging Corner. Thus, the Beauty Innovation Day has established itself as the meeting point and exchange of experiences for the sector, creating a unique opportunity to make Smart Networking. On the same day, BCB members received training, new challenges were raised, and they sought solutions to problems through innovation. 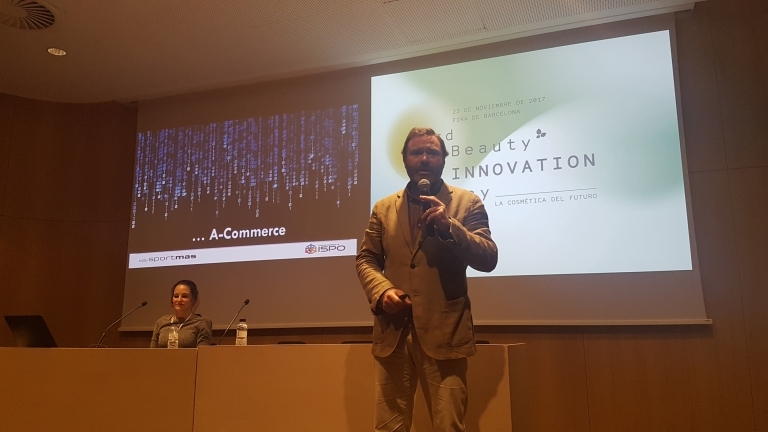 For its part, Ivan Borrego, manager of the Beauty Cluster Barcelona, ​​indicated during the closing of the day that the Beauty Innovation Day is another tool within the broad portfolio of support for innovation in the cluster. 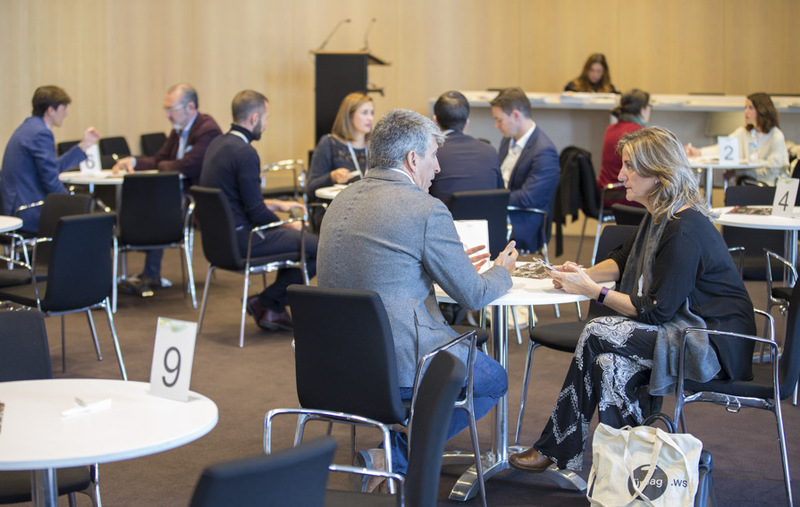 He thanked the collaboration of Hispack – Feria de Barcelona in the organization of the day and offered some clues about the fourth edition of the event that will take place in 2018.